Save these Diabetes friendly snacks for easy access when you’re in the mood for a delicious treat! No matter where you are on the planet or which health condition you are battling, snacking is one pastime that is not going away. For many people, the word “snack” is more likely to conjure up images of salty chips in a bag or sugar laden bars, cookies or brownies rather than fruits and veggies. Unfortunately, being careless about snack foods can be a health risk for people with diabetes. Although some of the newer medications for diabetes don’t cause severe dips in blood glucose, careless snacking can have negative consequences. No need to worry, however! Diabetes friendly snacks and diabetic snack recipes are easy to find and just as delicious as many of the unhealthy foods most people grab to nibble on. Today, there are also many low carb snacks for diabetics available at your corner grocery store. But for those who like to put together their own snacks, take a look at the following diabetic snack recipes. 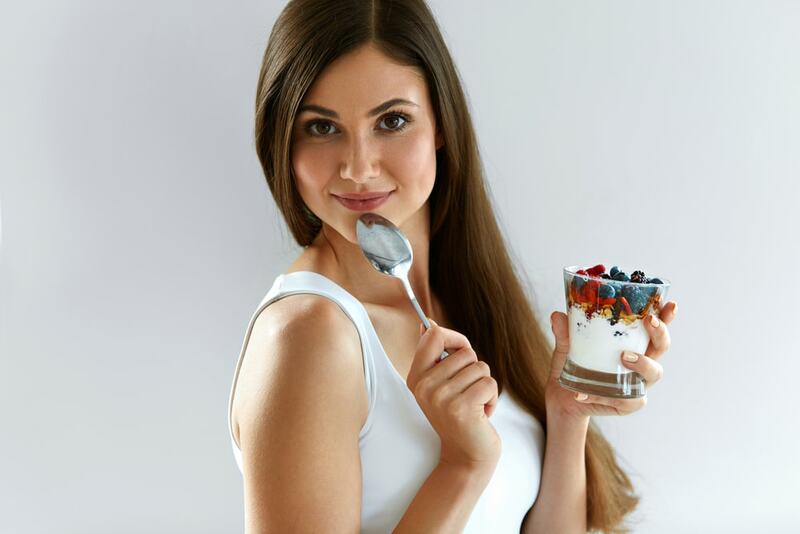 Yogurt is at the top of our list of favorite diabetes friendly snacks because it is also one of today’s most popular go-to snack foods whether you are diabetic or not. Top it with fruits like dried dates, raisins, or cranberries and nuts like almonds, pecans, pistachios, or walnuts. This is a quick and easy nutritious snack that you can eat anytime to stave off hunger. The great thing is all the ingredients are easy to find in any supermarket or health food store. To get the maximum benefit from this snack and to keep glucose levels stable, go for a yogurt brand that is lower in sugar but high in protein and probiotic cultures. Fiber is important in the diabetic diet plan so what could be better than a diabetic snack recipe that’s not only loaded with fiber but also nutritionally dense. Hummus with crisp raw vegetables is a diabetic snack recipe that is a winner on many levels. First of all, high fiber hummus is trending as a healthy snack food. This can be paired with any crudité of your choice but fresh carrot and celery sticks are highly recommended as they are considered to be two of the most diabetic friendly vegetables you can find. Here’s the inside scoop on these yummy ingredients in this low calorie diabetic snack recipe. Traditional hummus is created from chickpeas, which is low in calories with a high fiber and protein content that is great for stabilizing blood sugar levels. If you are not into making your own, look for brands that does not have added sugar or flavorings. Based on nutritional data, each cup of raw celery has approximately 1.6 grams of insoluble cellulose fiber. This this type of fiber is particularly beneficial for people with diabetes because it helps to clean the large intestine by promoting regular bowel movement. The significance of insoluble fiber is that it attracts water and does not dissolve in it. While this means that it can also drag fluid out of your system, water makes up approximately 96% of the celery stalks. Insoluble fiber also helps to remove bile, heavy metals and other toxins from the body that has been shown to reduce bad cholesterol levels and minimize the risk of cardiovascular disease. Carrots does not only contain soluble fiber but is also rich in vitamin A, K, C, complex Vitamin B, potassium, manganese, folate, phosphorus and beta-carotene. According to a 2013 study, high levels of beta-carotene in the diet had a protective effect for people with genetic profiles that made them more susceptible to developing type 2 diabetes. Although highly nutritious, hummus, carrots and celery like any other food, should be consumed in moderation. Salt-cured fish eggs or caviar is a gourmet diabetic friendly snack and beneficial treat. No matter which type of caviar fits into your budget, studies show that fish roe contains high levels of omega-3 fatty acids that help to minimize insulin resistance and lower blood sugar levels. Caviar is also a snack that can be consumed alone, on sliced cucumber, toast, or unsalted root vegetable chips. When it comes to decadence caviar has nothing on chocolate for most people. Sliced bananas dipped in melted dark chocolate is a crowd-pleaser, but one that calls the adage “a little goes a long way” to mind. That means watching portion sizes. With that said, these ingredients are not without their diabetes benefits. For instance, dark chocolate is rich in polyphenols which is important for controlling blood glucose levels. In a study published by the American Journal of Clinical Nutrition, dark chocolate was linked to improved insulin sensitivity and reduced resistance in study participants. However, it is important that you choose dark chocolate that has not been heavily processed. Whichever you choose as your favorite diabetic friendly snack, don’t turn them into a meal. Staff at the American Diabetic Association suggest that even when snacking it is still important to keep an eye on portion sizes. They reiterate that this is the key to controlling blood sugar levels and avoiding weight gain. Also, when it comes to managing diabetes, it is always helpful to take a little time to plan ahead; even for snacks or maybe especially for snacks. Bear in mind that the main reason they are called diabetic friendly snacks is because of the health benefits they provide and the function they perform. With a little thought, the right snacks can provide essential nutrients, help to curb hunger between meals and boost energy levels.